The very good dogs of Team Appaman! 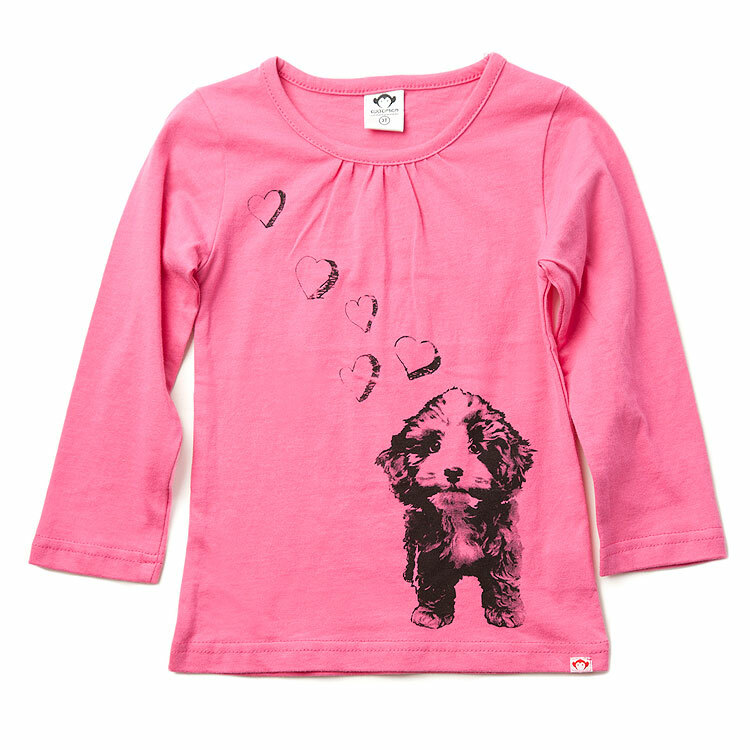 We are major dog lovers here at Appaman. 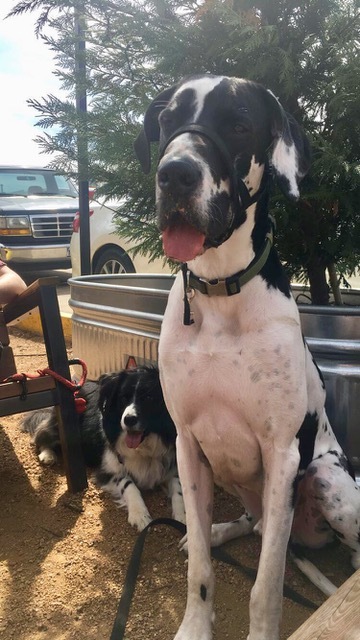 You may know that Appaman mascot Party Hat Husum — one of the world’s great dogs and a member of our founders’ family — comes to work at Appaman HQ nearly every day, to the delight of all that encounter him (except the FedEx guy…sorry, FedEx guy! ), and works hard to make our office a happier place every day. 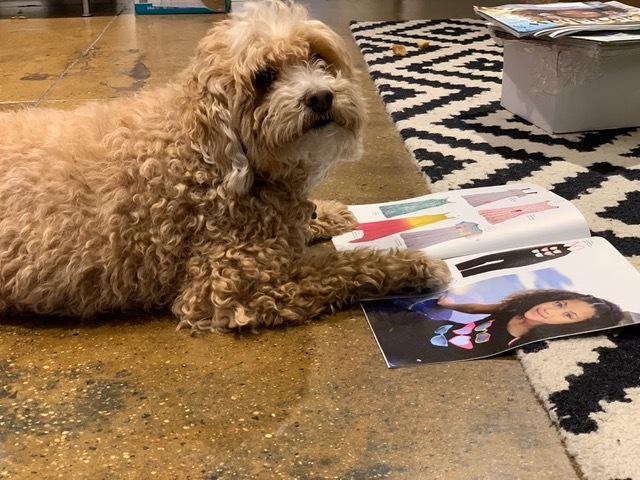 Party Hat, catalog enthusiast, reviewing the Spring 2019 collection. Party Hat inspired this t-shirt when he was just a little puppy. Who you have not yet met are the canine companions of the rest of our staff! All dogs are good dogs, and it’s only fair that we introduce each one to our internet friends (i.e. you, Dear Reader). We asked the Appaman HQ dog parents to tell us about their pups, and the weirdest things they do. Weirdest thing Ducky does: He loves to spin in circles when he’s happy or confused, and hang upside down in your arms. And even though he’s missing a front leg, he still lifts a back one to pee. Breed: Unidentified mix of Pomeranian, Chihuahua, American Staffordshire Terrier (Pit Bull), according to a DNA test. Weirdest thing Meatball does: She has lots of weird habits. One of her favorite things to do is steal your spot when you get up, and then she refuses to move when you return. We call her the warm spot stealer. She also “kills” her stuffed squirrel nightly and tries to trade us for our food (which has never worked). Weirdest thing Nova does: EVERYTHING! (Just kidding) She is super affectionate and loves attention. She loves to sleep with her head buried or her blanket covering her face. Weirdest thing he does: Tucker is a very good boy without any particularly weird tendencies. But his favorite things to do are destroying all toys and playing with his two human siblings, whom he adores. The weirdest thing they do: Brees hates when Dad beat boxes and howls at fire trucks. Harley gives big hugs, prances like a horse and will have a conversation with you in his own dog words. 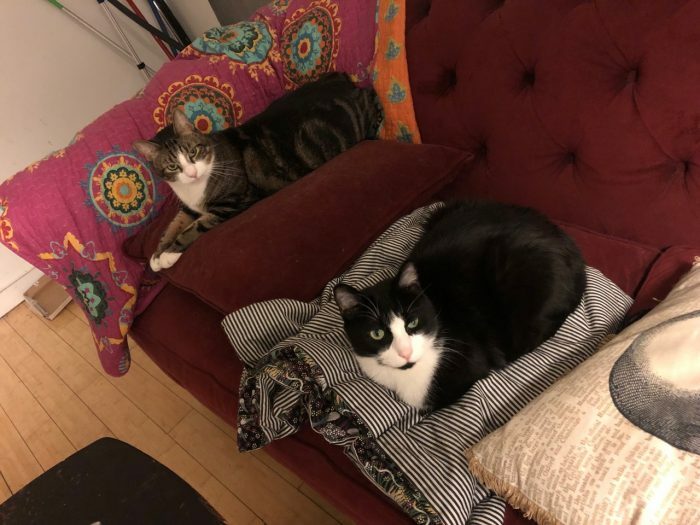 These are Abby’s cats, Barack Obama and Joe Biden. She submitted them in protest of there being no Caturday blog post. There, Abby, are you happy? ?